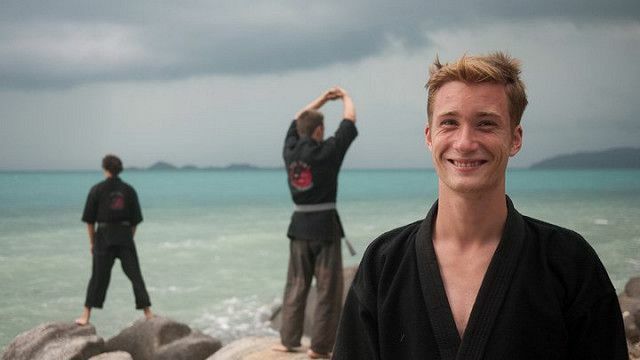 Our Thailand Ninja camp is an all inclusive live-in martial arts program including housing, meals, training, and much more. Here you will learn a variety of skills ranging from realistic martial arts to life coaching with Sensei Rick Tew who has being teaching martial arts for over 20 years. Learn realistic martial arts and self-defense. Lose weight, get in shape, meet new friends. Become an instructor and earn a living teaching martial arts and fitness. Clear their head. Take a step away from the mundane 9-5 life and live on a beautiful Island. The camp is located on the beautiful tropical island of Koh Samui. Samui is the 3rd largest island in Thailand and has an international airport. Koh Samui has often been named as one of the best places in Asia to live like a king. 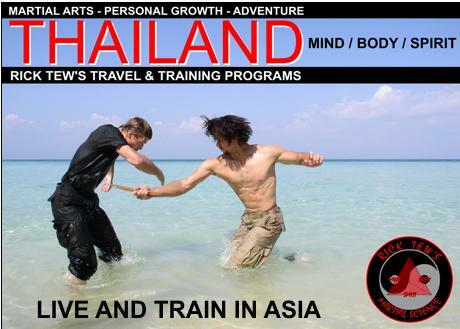 The beautiful beaches and friendly people makes this one of the best locations in Thailand to train at. The 2 month Thailand Super Camp begins on February 15, 2019. The 2 week Thailand Adventure Travel Tour begins on August 5, 2019. Students may attend for a minimum of one week or they may attend the entire program. Different packages are available to fit your schedule. Everyone is seeking something different to improve their lives. Some are wanting to get in better shape to build confidence, some want to become martial arts instructors, while others aren’t exactly sure what they are seeking…but they know it’s time to step outside of their comfortable zone and try something new. Whatever you are looking for, our program will make a positive impact on your life. Complete the contact form located below, and one of our representatives will contact you. Where is the Thailand Camp Located? Our Thailand Total Warrior camp is located on the beautiful island of Koh Samui. Koh Samui features an international airport and is only a one hour flight from Bangkok. What is the Weekly Training Schedule? This is an incredible experience to get away from your regular 9-5 life and learn something new. Depending on your program and personal goals, training is usually 2 – 3 hours per day, Monday through Friday. Or if you are a member of our “instructors course”, your new job will be training in the Martial Arts. Your weekly training schedule will be Monday – Friday from 9am to 5pm. What Kind of Martial Arts Will I learn? At least 16 years of age (with permission). Have no health or physical handicaps that keep you from following the program. Have no obligations that keep you from following the program. You get along well with other people and don’t have a temper or bad attitude. Self-motivated, hard working and self-disciplined. Are a non smoker (yes, we are serious) and interested in eating healthy. Have a desire to learn martial arts and live a lifestyle of adventure. NOTE: We pride ourselves on offering training to build around your own strengths and weaknesses. If you are physically handicap, and have your doctors permission – we will be more than happy to accept you onto our program. Yes, we accept students from all over the world. It is important that when traveling that all foreign students simply get a tourist visa – or the regular visa they would get as if just traveling or vacationing. Since we operate programs phases under 3 months – you can manage to fit this program into your allowed visiting time of 60-90 days (with a tourist visa). All Thailand programs include shared housing with 2 – 4 students per room. Housing upgrades are available for private rooms starting at $500 a month. 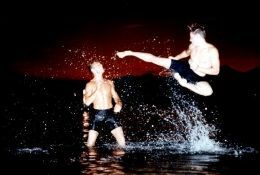 What If I Want to Learn Muay Thai Mostly? That’s no problem. 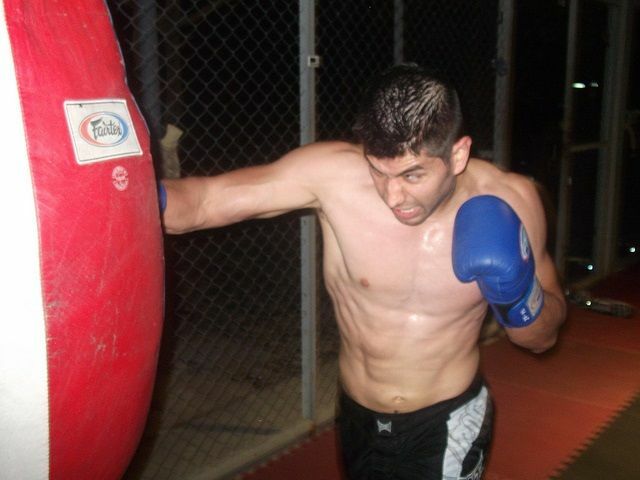 We are a full mixed martial arts program and a lot of our training does encompass Muay Thai training. However, this is just a fraction of what you will learn at our Thailand camp. For those students that want real “ring experience”, we have relationships with the top Muay Thai schools on Koh Samui and can you arrange additional full contact experience. Every student is looking for something different. Some are looking to lose weight, some are completely new the Martial Arts, some just need to take a break from the “typical 9-5 life”, while others want to be full contact fighters. Whatever your individual goals are, our program and instructors will help you achieve them. What If I'm a Beginner in Martial Arts? Martial arts experience is NOT required. However, it would help if you’re a health conscious person and like the outdoors. As far as the martial arts is concerned, it is easier for us to train you if we don’t have to break old habits. If you have a great attitude and get along well with others, then this program might be for you. Some members will join to focus simply to take part in the martial arts, lose weight or have an adventure. This is okay – the idea is that you are here to have fun, yet truly motivated to grow. NOTE: Our programs are not just for martial artists or people looking to teach the martial arts. It is for anyone who wants an adventure and wouldn’t mind learning the martial arts at the same time. Yes, this is a life changing experience for men and women alike.